We are a bank, trust company and IRA custodian. 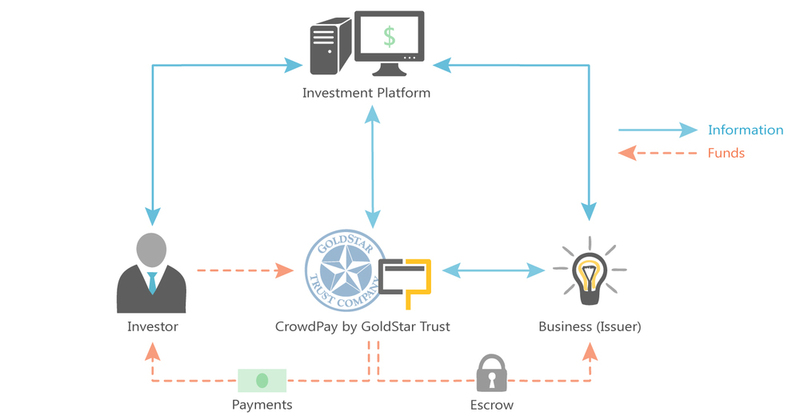 This gives us certain advantages over platforms that depend on third parties for banking and custodial relationships. We also have the added luxury of in-house development and proprietary software that allows us to get things done quickly and without a lot of red tape. There's more to the equation than just moving money where investments are concerned. Our applications were developed to provide online fundraising portals with seamless and compliant back-office banking services. There's around $5 trillion dollars in U.S. retirement accounts today. With CrowdPay, you can allow investors on your portal to easily transfer, roll over or open a brand new self-directed IRA for a low annual fee.